Walmart selling furstuit heads???? - page 2 - furries on furry - Furtopia | Family Friendly Furry Forum and IRC Chat! Re: Walmart selling furstuit heads???? 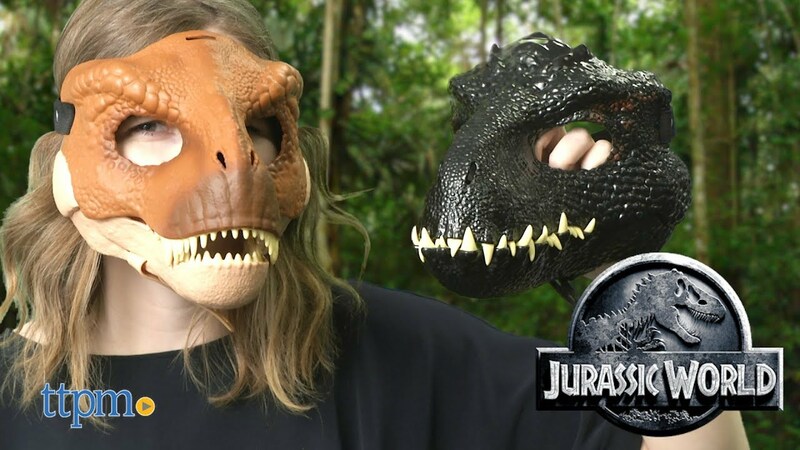 Walmart was selling these dino masks with hinged jaws. I bought a couple because my head is small enough for them. And now I'm trying to modify them to be a little more interesting. It's kind of hush hush atm. Had a brief discussion on Maskimals at a recent furmeet. It was discovered that most of the masks in the bin at one local Walmart had been worn by someone. Inside could be found traces of makeup. Was in a Super Walmart last week and saw a shopper wearing a Rugrats-themed Maskimal. They're getting fancier and the price is up to $24.95 now. New additions include Minions, Wonder Woman, The Flash, and Scooby Doo. Recently discovered that one store has these on clearance for just under $20. HA! Most of them were $19.99 before copyrighted cartoon characters were added. We noted a tiger Maskimal in the bins. A brown pony type was added to the line and it is MLP-style. Still no generic canine types though. Was thinking of going over to the stereo section, cranking up some hip-hop or connecting Bluetooth and blasting some EDM, while freaking out as a sheep...and bleating at every bass drop. If it weren't for the fact society may judge me a little harshly for age, I would have done just that. I was finding myself about to say "Hey, you kid there! Yeah the one with the crazy mask on. No not you, the one looking like a bangal tiger!. Yeah you! There are these cool people called furies who can tell you how to make a real knock out maskimal called a fursuit!" "Just need some thread, foam, hot glue, ..."
But, I just smiled a knowing smile, and walked away to get some motor oil. I thought that it was a little more subtle, and probably was less problematic for all of us. Maskimals, the gateway-drug to Furry. I need sooo much watching these days. We have also seen similar behaviors regarding the product in our neck of the woods. We have also pondered the possibility of selecting one of the Maskimals for temporary use as a grocery basket. In my local store, I think I saw one that was supposed to be a grey fox or a husky. One of the stores here had them marked down to $15. There was Lamb, Goat, Pony, Pug, Eagle and Wolf Maskimals added to the mix. Almost sprang for one. Wolf/Husky had cat-like eyes though. There was also a fox over-the-head mask with moving jaw for about the same price in another aisle. The wearer could see through the tear ducts. About the same quality as the $60 models sold through the seasonal Halloween stores IMHO. I normally stay very clear of peoples business. But something in me made me speak out. I said that Unicorns , being mythical creatures, are purely a product of the imagination, and that gender didn't have to factor in. I said that they were basically genderless creatures (not sure if I was making that up). I then found myself telling the child that he can make a back-story about his character, and act it out, when appropriate so to do. In the end of the conversation with him and his mom, we were talking about using Faux Fur from Joanns Fabrics and how to make a DTD, that he would need at least horse hooves in place of hands, and a tail. That way he could get the "rest" of the costume made on short notice. I realize now, that they really don't have enough time to get it done before Halloween. It made the boy happy to realize that others were supportive of his desire to be himself. He just wanted to have fun. And who knows, in a few years, the maskimal, and whatever else, maybe set aside anyway. After that discussion, he could be heard jumping up and shouting, "1-2-3, Unicorn Power!" I remember a time for myself, I wanted to be a Fox or a Wolf. Like a REAL one. I often would howl like a wolf when I wanted to. It made me happy, more than people realize. I am glad times have changed enough that some kids can do just that. But in a sort of greedy way, I also want Furry to remain a sub-culture, because it is special to me, and I don't know what might happen to it if it was truly mainstream everywhere. So I am almost afraid of Maskimals and other things ?marginalizing? Furry. I guess if the wearer of a maskimal is a furry at heart, then the conflict in my mind is resolved. The Maskimals went on clearance immediately after Halloween. Initially marked down to $7.50, now under $5. Learned that Walgreens had similar masks. Maybe my cat can use the lamb as a hideout. after a quick call to my 2 local walmarts they were out of stock. Just ordered one, to see if I can do anything with it! if anyone wants specific pics or info let me know! Thought the cat might like one as a nap nook, but not so much. It's a shock they haven't produced any holiday themed Maskimals. Maskimals are back at Wamart--somewhat. White Bunny in with Easter-theme items. I saw a grey bunny at one WM.